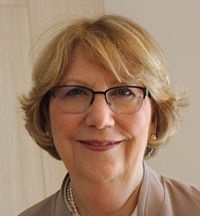 Dr. M. Katherine Shear is the Marion E. Kenworthy Professor of Psychiatry and the founding Director of the Center for Complicated Grief at Columbia School of Social Work. Dr. Shear is a clinical researcher who first worked in anxiety, depression. For the last two decades she has focused on understanding and treating people who experience persistent intense grief. She developed and tested complicated grief treatment (CGT) a short-term targeted intervention and confirmed its efficacy in three large NIMH-funded studies. CGT is strength-based and focused on fostering adaptation to loss. Dr. Shear is widely recognized for her work in bereavement, including both research and clinical awards from the Association for Death Education and Counseling and invited authorship of articles for Uptodate and the New England Journal of Medicine.